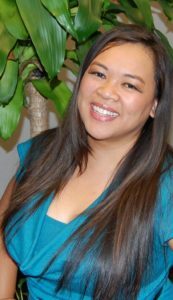 Dr. MariAnne Suyat is a licensed Acupuncture Physician in the state of Florida. She graduated with a Master of Science degree in Oriental Medicine and Bachelor of Science in Professional Health Studies from the Florida College of Integrative Medicine. After she completed her undergraduate degree at Florida State University, with a Bachelor of Science in Multi-National Business Studies, she met a 7th generation herb master from China who inspired her to pursue her career and passion in Chinese Medicine.